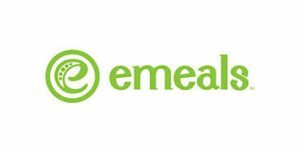 eMeals is a meal planning service that focuses on easy and healthy home cooking. It provides great recipes suitable for different dietary needs and provides well-organized shopping lists with all the necessary ingredients for the meals of your choice. Among the two dozen meal plans in its offer, half a dozen of them are dedicated to weight management. This text explores one of the best meal plans in the category – eMeals Low-Carb plan, which allows you to steer clear of carbs while enjoying a variety of wonderfully delicious dishes all week long. The standard eMeals Low-Carb plan is the Low-Carb Dinner meal plan, which brings you 7 amazing low-carb meal suggestions, that is, one evening meal for every day of the week. However, the folks behind eMeals (ubaciti link za eMeals review) know that staying away from carbs can be particularly difficult in the mornings, when pastries are the easiest way to go. It is not much easier to have a low-carb lunch either. That is why the service offers two complementary meal plans to go with your dinner plan – Low-Carb Lunch and Low-Carb breakfast, which you can add to your subscription at any time. Your eMeals Low-Carb Dinner plan brings you 7 delicious dinner suggestions every week and you get to choose the ones you like or take them all. If you opt for an additional low-carb meal plan, you can also get 5 low-carb breakfast or lunch recipes. eMeals low-carb recipes, which are created by a team of registered dietitians, allow you to keep your weight and blood sugar in check and introduce more nutrient-packed produce, healthy fats, and proteins into your diet. What is also great is that the recipes do not call for any extravagant ingredients. They are rather budget-friendly and thanks to the shopping lists provided by eMeals, you have all the ingredients in the right amounts in one place, sorted by store sections, which makes grocery shopping as simple as possible. eMeals allows you to choose your favorite store when signing up, so you can do your shopping online in a minute or take your list with you to the store thanks to the service’s free mobile apps for Android and iOS. The recipes include such satisfying low-carb dinners like grilled pork-and-pineapple kabobs and cheese-stuffed Mexican chicken, easy-to-make low-carb lunches like roast beef roll-ups with pear and arugula and Cobb salad, and healthy low-carb breakfasts like mushroom and ham omelet and baked eggs in tomato cups. eMeals low-carb recipes come with side dishes that provide additional nutrients and make you feel more full. You can choose between the 3-month and the 12-month subscriptions. The 3-month plan costs $10 per month while the 12-month subscription costs $5 per month. Your subscription comes with unlimited switching between plans and the possibility of pausing the subscription for up to 3 months. Before opting for a subscription, you can test the service with the 14-day free trial and see if it is everything you expected it to be.